Beers on beers on beers. This is the second year for Rock the Junction, a craft beer festival organized by Grand Junction Brewing Co. and Indiana On Tap. Crowds will fill the streets of downtown Westfield and have a chance to taste 20+ Indiana breweries while bands rock the stage. History buffs and beer lovers, unite! Leave the kids at home and frolic Conner Prairie while tasting local craft beers at History on Tap, an adults-only event. Taste brews from 19th century beer recipes and chat with costumed interpreters while exploring the 1836 Prairietown. Attendees can also take a ride in the 1859 Balloon Voyage. Mac n’ cheese. Need I say more? This is Noblesville’s first festival dedicated to the golden goodness we all grew up on and love! Sample cheesy creations from Hamilton County’s favorite restaurants while local chefs put their own spin on everyone’s favorite comfort food. Summer wouldn’t be complete without the annual Strawberry Festival in downtown Noblesville. This is the 40th year and there are many reasons to go, including that it’s St. Michael Episcopal Church’s biggest fundraiser. But one reason should be obvious: strawberry shortcakes coupled with ice cream and topped with whipped cream. Shop, sip or stroll at IU Health North Art of Wine this summer. 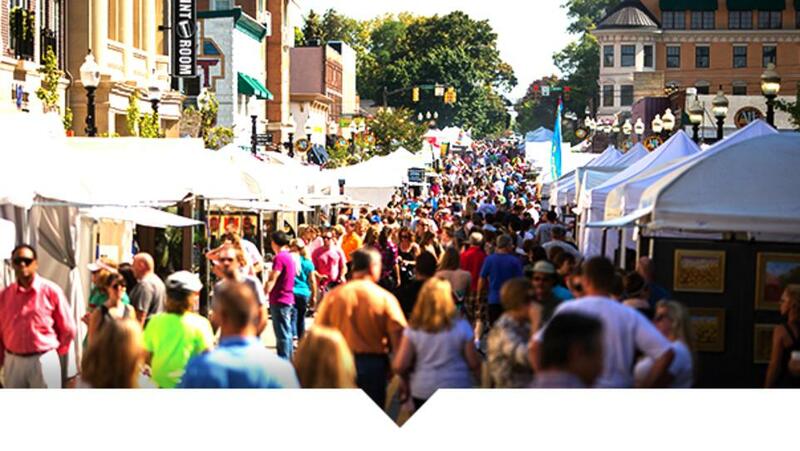 Bring the whole family to the festival that’s dedicated to wine tasting and spend the evening shopping, listening to music, browsing art galleries and trying the eateries along the Arts and Design District in Carmel. You may have trouble pronouncing all the Greek cuisine available at this festival, but fill your plate up anyways. The Indianapolis Greek Festival is an annual family-oriented festival celebrating the Orthodox faith and Hellenic culture with the community. Try exquisite Greek foods like Saganaki, Keftedes and (you may know this one) Gyros. And then be entertained by the cooking demonstrations, Hellenic Dance Troupes and live music. For more information on the can&apos;t-miss events and festivals happening in Hamilton County, Indiana this summer, visit our website.